I have looked at getting rid of the excess in my home; I am not going for the minimalist look, well not yet anyway! However, I do want to get rid of the things in my home that I am not using and don’t love. It was when I was thinking of what I need and the items that I truly don’t need. I have things in my cupboards that I haven’t used in years and, being honest, they never likely see the light of day again, but I was contemplating what are the things that you need in your kitchen, the “must have” supplies, the things you need in your kitchen. If I had the simplest set up in my kitchen, what were the products that I think are necessary? I am not one to have more than necessary when it comes to some things. I only have three saucepans, my hob only has four heating points, so there is no need to have any more, so it isn’t as though it is something that I have a lot of, but I do think I have a lot more than I need. Cleaning cloths, I am thinking dishcloths and cloths for cleaning down your kitchen in general. You must have something that you can use for getting and keeping your kitchen clean. Cleaning product, now this depends on your own circumstances, but for the basic, you need some form of soap to wash dishes and to wipe down the sides in your kitchen. There is nothing wrong with just wiping your worktops down with hot water and dishwashing soap. You can get more technical and buy a kitchen-cleaning product or you can use white vinegar with a dash of washing up detergent, which will get your sides extremely clean. Having an oven, I think is important, it allows you to cook so much more, some people just use a microwave to cook and that is fine. I have cooked for my family of five for a couple of weeks using only the microwave and a slow cooker. A sink is an important item to have in your kitchen and having hot water to wash dishes is key to living in a clean kitchen. Not everyone is lucky enough to have hot water directly into their sink, but being able to boil water does give you more options to keep your kitchen clean. If you’re interested in keeping your oven clean this article goes over this in-depth! Utensils are for eating and the preparation and cooking of your food. They are an essential tool and come in a variety of different shapes, materials, and uses, how you use them is personal, some people use more than others, but they are for the same purpose: cooking and eating food. Plates and bowls are important in the kitchen, but do you need stacks and stacks of them in your cupboards, I know that I need to get rid of a few! As I mentioned before, the cooking pots and pans are important, they allow you to cook your food safely and without breaking. However, you don’t need so many that you just never use, not only is it a waste to buy them, it is also finding a home for them. Glasses, mugs, and cups are a necessity for the kitchen, it is easy to have too many of these lying around your house too. These eight things I feel, are the most important items to have in the kitchen. The question then pops up, what is in the rest of my kitchen? I know there are food items that you need to prepare meals and food for my family, but I do think there are lots of items that I have hung onto that I don’t love, like or even want, yet time and time again I lift the item to clean underneath and yet never use. It is time I dug through my cupboards and got rid of this excess, not to fill with more items but to have the space to move things around more freely without feeling guilty of having the unnecessary. My one luxury item is my pancake hot plate, I love pancakes and this is something that I use on a regular basis. I am not against having other items, as long as they’re used. It is odd for me to spend money on myself; I am not one for wasting money on items for the kitchen just because they look pretty. However, if it something that will add benefit to your cooking experience then I am not against it, but from experience I would look to see the benefits for you and your family and what you need to have on hand, to use it regularly. Sometimes the item isn’t expensive but the ingredients you need on hand to use it and to make something nice. This is something that you must consider before purchasing anything, whether in the kitchen or another area of your home. It is one reason why it is important to do your homework on an item before you part with any money and a way to ensure the item is a need rather than just something you want. Therefore, by looking at the things you need in your kitchen does reduce the items, freeing up space and providing a less cluttered home to live in. Are there any other suggestions for things you need in your kitchen? 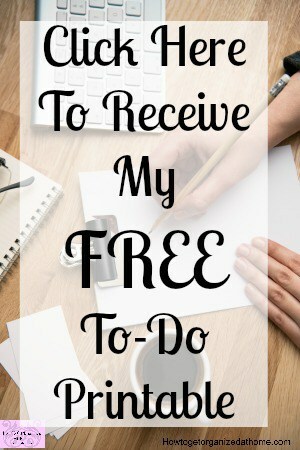 If you are looking for more articles on this topic head over to the landing page where you will find links to other posts on the kitchen and home. 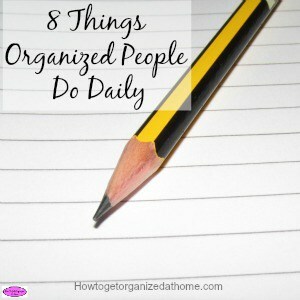 I wrote another article that I think you will like, 8 Things Organized People Do Daily!